Austin Coming Together invites you to another night of dancing and good vibes! Complimentary dance lessons begin at 7pm and the main event begins at 8pm. So bring a friend, dance your hearts out, and enjoy a fun social experience! Please consider supporting the Austin community! The Hub is already becoming a major asset to our community, offering a safe space to thoughtfully engage disconnected families and collaborate with our member base to securely connect residents to holistic services. Our Hub joins a larger community of restorative justice hubs in Chicago that operate under 5 core pillars: radical hospitality, accompaniment, building relationships with youth and families, relentless engagement of systems and stakeholders, and contributing to a learning community. 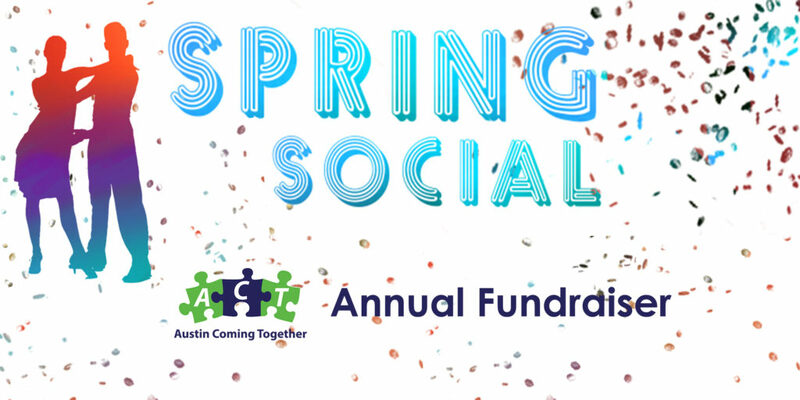 Click here to see pictures from our 2018 Spring Social & Fundraiser.